This waterfront property is sitting on the lagoon right across from the beach. Escape to your own island retreat on the fabulous San Francisco Bay. Allow the Coral Reef Inn & Suites and the island of Alameda to be your sheltered harbor while exploring San Francisco, Berkeley, Napa Valley and beyond. Close and easy access to freeways and to public transportation with ferry and bus service to San Francisco, Alameda is the ideal portal for your Northern California excursions. The waves of San Francisco Bay lap the shores of Crown Beach less than a block from the Coral Reef Inn & Suites. Unwind at the end of the day with a leisurely stroll along the shore as you watch the setting sun etch San Francisco's unique skyline in amber. Or, enjoy an evening of fine dining and shopping within walking distance of the inn. Spend relaxing moments by the pool or lounge on your private patio or balcony. You can be content in the knowledge that a spacious, well-appointed room awaits you. Situated on a 7 acre estate The Casitas of Arroyo Grande offer guests the ultimate in Central Coast wine country privacy and luxury. Each Little House has a wood burning fireplace. Check-in is at 3 00 PM. Guests planning to arrive before or after this time must contact the property at least 48 hours prior to arrival to receive special check-in instructions. As a bed and breakfast property, the Front Desk hours will vary guests should contact the property to find out more information. The Catalina Island Seacrest Inn on Californias *Isle of Romance* is waiting for you And is located one short block from the best beach in Avalon the Islands only city. Bowers of flowers and lace curtains adorn this Inn from the office to the rooms. The Victorian decor is definitely slanted in flavor of romantic couples. Most of the rooms and mini-suites are appointed with beautiful in-room double whirlpools or big deep tubs for two complete with rubber ducky and bubble bath . Queen or king-sized beds air conditioning cable with free movie channels a VCR video library refrigerator and beach towels are standard amenities. The sun deck is a great place to tan snack read or enjoy the view. Our enclosed rooftop is a great place to relax watch TV. For you sleepy heads a light continental breakfast is available in the Sun Room. 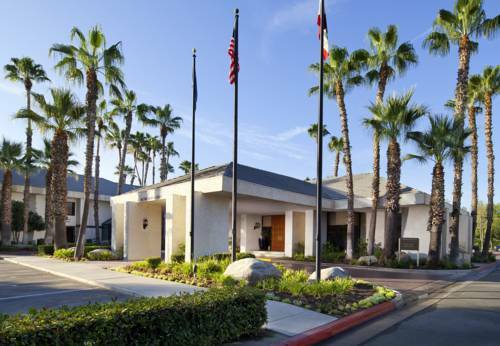 On 7.5 acres of lush landscaped grounds, the Four Points by Sheraton Bakersfield offers a great location in the heart of the main business district of Bakersfield. Our inner courtyard features an outdoor pool, a calming pond, and a stream complete with babbling fountains. After a full day, settle in for a quiet night in one of the 198 guest rooms. There are plenty of thoughtful touches, like the Four Points by Sheraton Four Comfort Bed and free High Speed Internet Access. Our four-star restaurant, The Bistro, serves up a fine dining experience for breakfast, lunch, and dinner. Or relax privately with in-room dining. The only hotel on the world-famous Rodeo Drive, in the heart of Beverly Hills, combines the style, glitter and prestige of its locale with exquisite renovated guestrooms and First-Class Service. 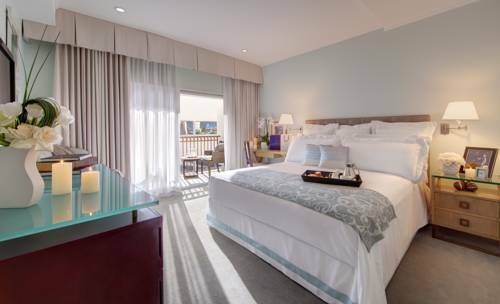 The Sophisticated Guest Rooms, including the Penthouse Suites with Private Sundecks, are surrounded by Serene Hues Contemporary Style and Color Palette of Light Sea Mist Blue, White and Camel. Each room offers Luxurious Bed Linens, Multi-line Telephone with Voice Mail and Complimentary Data Port, Wi-Fi Internet Access, Flatscreen TV, Ipod Charger, First-Run Movies, Hair dryer, Iron and Ironing Board, and Daily Newspaper of choice. Experience the Renowned Superior Level of personalized service provided by Luxe Worldwide Hotels at the only hotel on Rodeo Drive. 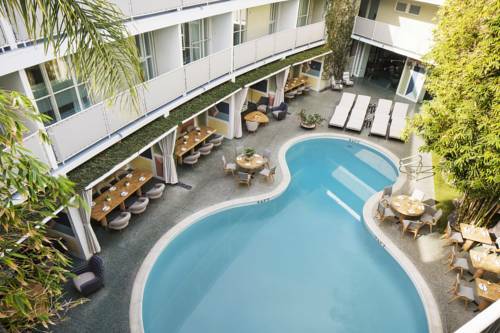 Avalon Hotel Beverly Hills, with 83 rooms, is a unique example of mid-century architecture and design. The hotel features vintage and custom furniture inspired by the top designers of the 1950s. The hotel surrounds an hourglass shaped pool that serves as a visual and social focal point. Located in an upscale neighborhood of Beverly Hills, the Avalon is conveniently located close to Rodeo Drive, Century City, Santa Monica and the Sunset Strip in West Hollywood. comfort and style of design are combined with welcomingm friendly and efficient service. Wireless Internet access, Italian designer linens and bathrobes are included with each room. 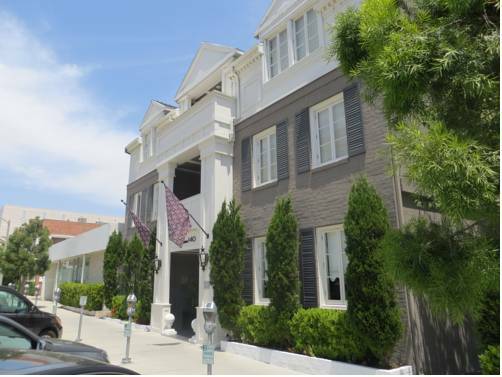 Outstanding location, steps from the Rodeo Drive Triangle, Maison 140 is an intimate boutique-style hotel offering a modern French design mixed with Far East elements, where guests are welcome and well cared for. Located approximately 30 minutes from the LA Airport and 15 minutes from Santa Monica Pier, beaches, UCLA and Getty Center. Complimentary high-speed internet access, 27-inch flat screen TV, fretted linens and bathrobes are included with each room. The Graciela Burbank is an upscale boutique property in the Burbank Media District. The property offers stunning appointments and luxuriously appointed rooms and suites, with superior service levels. Most of the rooms and suites offer fully equipped kitchenettes for the traveller's convenience. We have a health facility and jacuzzi on our landscaped rooftop, a full service bar, and 24 hour room service. 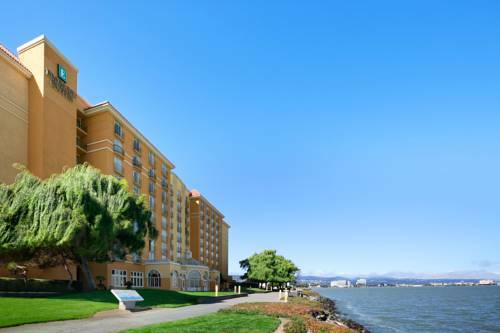 Waterfront hotel offers suites with stunning Bay views and waterfront trails perfect for inspiring strolls. Wake up to a hot cooked-to-order breakfast as well as a full breakfast buffet. Relax amongst lush palm trees and koi fish ponds. The rich heritage of the Napa Valley makes Calistoga Ranch the ideal destination for experiencing fine wine, organic regional cuisine and elegant country living. Ideally situated in the Napa Valley, the luxurious 157-acre Calistoga Ranch offers remarkably expansive guest accommodations. The majority of the 46 lodges, many of which feature fireplaces, are free-standing, one-bedroom suites with 1,200 square feet of indoor/outdoor living space. Located in the upper napa valley-near the most prestigious Vineyards, dining and boutiques. Nestled on 25 acres of spectacular Monterey pines and world-class gardens, Cambria Pines Lodge is the ideal Central Coast getaway. Cambria's historic Main Street, with its eclectic medley of shops art galleries wine bars and restaurants, is within 1 mile and beautiful Moonstone Beach is only 2 miles away. The Lodge features 152 guest rooms and suites many with fireplaces private balconies and breathtaking forest or garden views. The Restaurant at Cambria Pines Lodge features produce freshly picked from our own organic kitchen garden. The Fireside Lounge offers a full bar cozy fireplace and nightly entertainment. Our staff looks forward to welcoming you to Cambria Pines Lodge for a uniquely memorable experience. 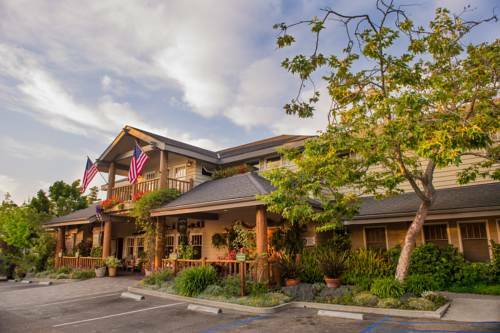 Located just footsteps from Cambria's beautiful Moonstone Beach; the FogCatcher Inn has an Old English feel with contemporary conveniences. With its rounded thatched-style roof; flower lined brick paths and a gas fireplace in every room; FogCatcher Inn is the perfect romantic getaway.Many of the rooms have fabulous ocean views; whether the surf is crashing or calm and serene; the ocean sets the mood for this unique and memorable hideaway.